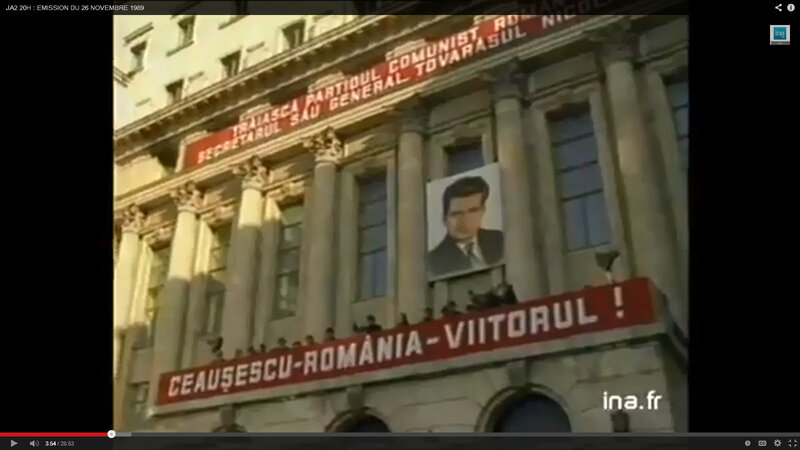 Nicolae Ceausescu on the balcony of the PCR CC building, 24 November 1989, following his unanimous reelection as head of the Romanian Communist Party. 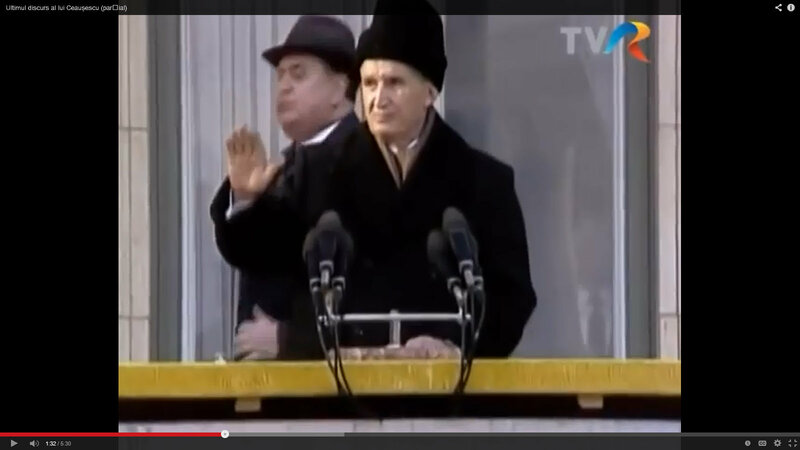 Nicolae Ceausescu, 27 days later from the same balcony, 21 December 1989, taken aback by the commotion in the crowd as it began to turn against him. 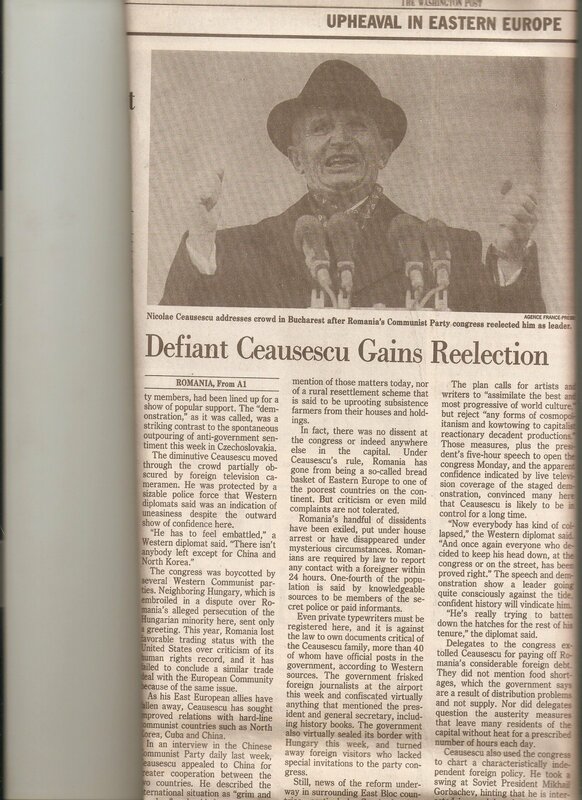 Mary Battiata, “Isoated Ceausescu is Reelected. 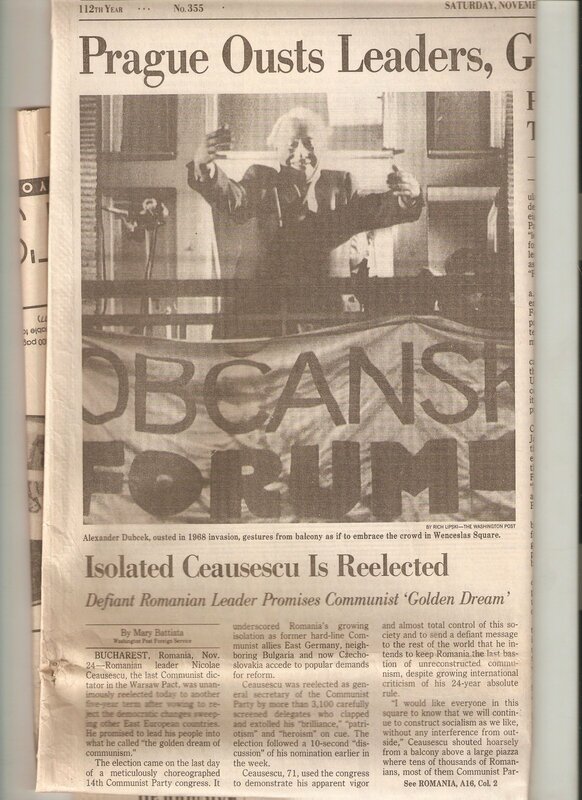 Defiant Romanian Leader Promises Communist ‘Golden Dream,” Washington Post, 25 November 1989. This entry was posted on November 25, 2014 at 12:29 pm	and is filed under decembrie 1989, raport final. 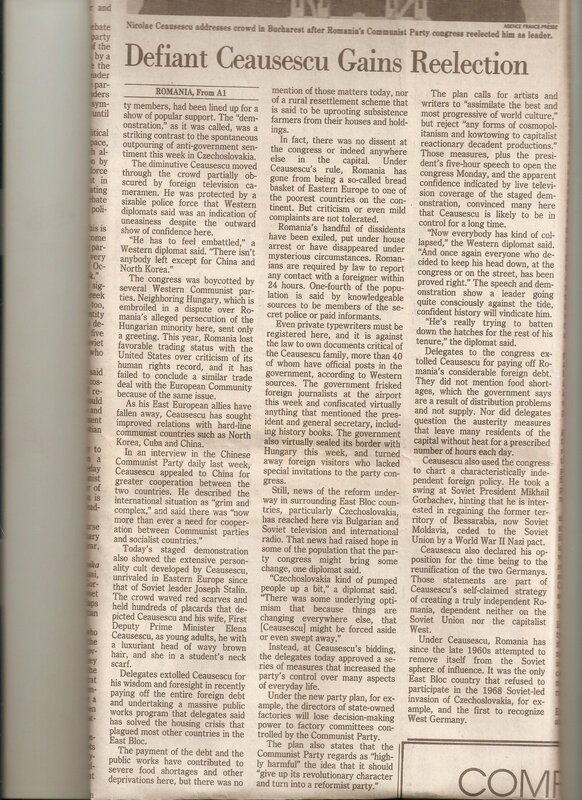 Tagged: balcon CC PCR, Ceausescu 1989, Mary Battiata, nicolae ceausescu, noiembrie ultimul bal, Washington Post November 1989, XIV PCR. You can follow any responses to this entry through the RSS 2.0 feed. You can leave a response, or trackback from your own site.